Saskatchewanians, fear 10 digit dialing no more. With the addition of another area code in Saskatchewan, residents are now required to dial the area code before the seven digit phone number for local calls. 306it will automate the task of adding the 306 area code to existing 7 digit local phone numbers in your contacts list. 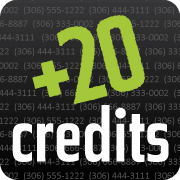 Use (306) it to update all your Saskatchewan seven digit phone numbers in your contacts list. (306) it give you the ability to (306) all contacts at once or on a granular basis. 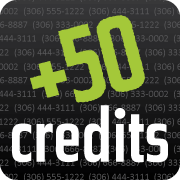 It provides stats to show how many credits you have, how many seven digits numbers you have in your contacts list and how many numbers you have (306)'d already. 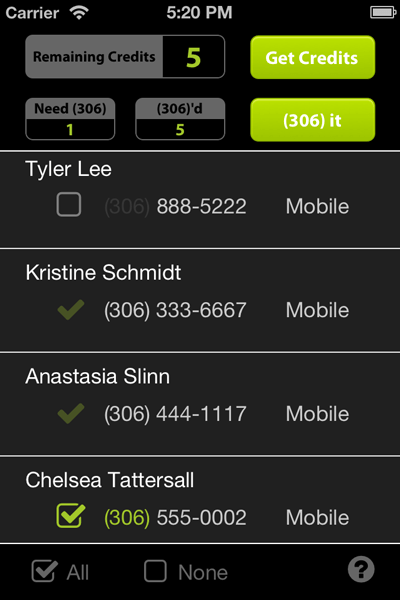 The main scroll area will display all your contacts that currently have a seven digit number. By touching the checkbox in front of the number you can toggle between selecting and deselecting the number for update. Once you've (306)'d a number, the selection box turns grey with a checkbox indicating that the number has already been converted. To refresh the list of contact simply swipe down on the list of contacts - this will clear out any (306)'d numbers and load any additional seven digit numbers that were added to your contacts since the last refresh or initial load. If you wish to select or deselect the entire list - just selection the Check All or Check None indicators at the bottom of the screen. The number of credits you have remaining is displayed at the top of the screen. (306) it comes with 10 free credits. 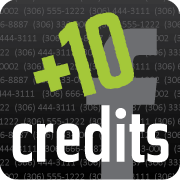 You can earn an additional 10 credits for sharing on both Facebook and Twitter. To get more credits, simply click on the Get Credits button in the top right corner of the screen. 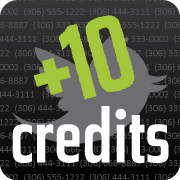 Facebook and Twitter credits will show up after you have successfully posted to each. Use the Restore button at the top of the Store Screen to reinstated your infinite credits should you need to reinstall the app. 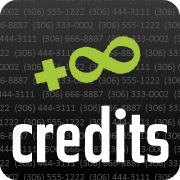 You can use the Need (306) statistic to determine your credit needs. Take a look at the (306)'d stat to see how many numbers you've updated. Select the question mark from the bottom right corner and let us know what you think.